A lovely naturally occurring mix of Shattuckite, Chrysocolla, Dioptase and Malachite in Smokey Quartz. 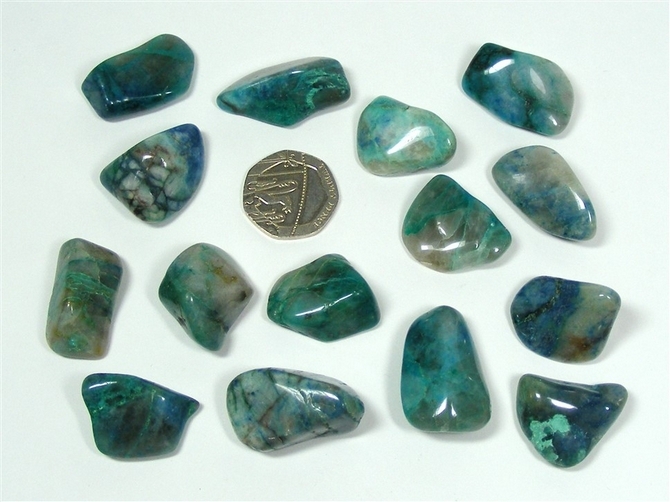 Quantum Quattro is a mix of Royal Blue Shattuckite, Mid Blue Chrysocolla, Forest Green Dioptase and Mid Green Malachite all present in Smokey Quartz. It is only to be found in Namibia and nowhere else and is thought by some to be a Master Healing Crystal. 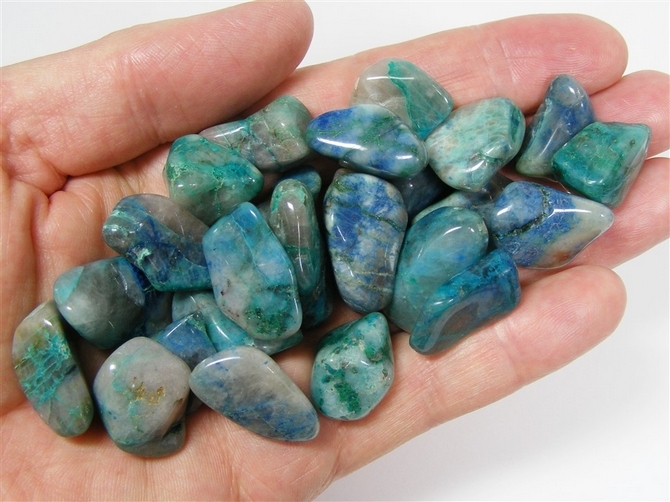 This is a powerful healing stone said to work at the level of the body's immune system and DNA. Quantum Quattro is thought to be especially effective in healing past trauma caused by grief and can unlock the associated pain from the body's energy fields and cells. It can align all Chakra points, including those on the physical body as well as those above and below us, if it is used with sincere prayer, and peaceful meditation. Some believe that this stone has been revealed to us now as we approach 2012, the start of the Mayan 6th World, where we may create the ideal world we desire.